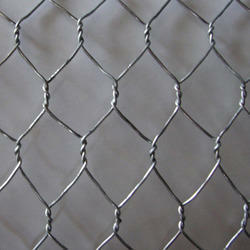 Our organization is involved in manufacturing a remarkable range of Hexagonal Wire Netting. 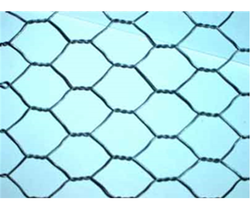 Hexagonal Chicken Mesh, Size: 1/2" And 3/4"
Hexagonal wire netting is made of twisting wire-electro or hot dipped galvanized, then plastic coated, or plain. It is an important component in insulation.